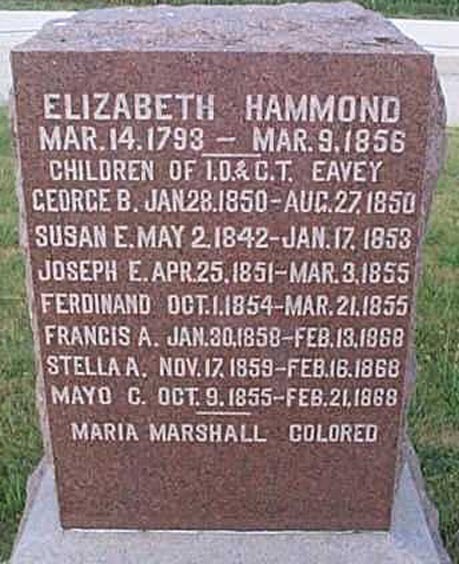 Caroline T. [Hammond] Eavey was born February 3, 1821, at New Windsor, Maryland, and died at her home in Leaf River, Tuesday, December 22, 1908, aged 87 years, 10 months, 19 days. Mr. and Mrs. Eavey came to the town of Leaf River in the spring of 1840, and settled on what is known as the old Rinehart place near Egan. Their home has ever since been in this vicinity. 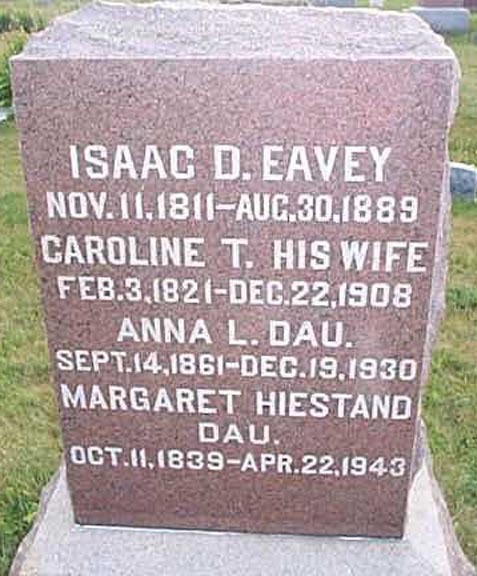 Mr. Eavey died August 30, 1889, and the family soon removed to the village of Leaf River. Mrs. Eavey was the oldest person in the town and nearly the oldest settler. We learn of but one, Mr. Horatio Wagner, who came here in 1838, two years prior to the coming of Mr. Eavey, that is an older settler and is still living in our town.